On this page you can pick the Queensland map that suits your trip. I know this may be getting repetative if you read all my maps pages, but the maps I always recommend are HEMA maps. They are the best and most detailed ones amonst all that are available in Australia, and they are the only ones I use. It is a great map of the whole Queensland. This map covers Brisbane CBD, inner and outer suburbs, and the region around it. It also includes a rail map and a ferry map. It is fully indexed, includes post codes and also points out points of interest. Handy if you visit Brisbane or its surroundings. This map covers the area south of Brisbane, including Surfers Paradise, Main Beach, Broadbeach and the Gold Coast Hinterland. It is fully indexed, includes postcodes, and also maps points of interest and accommodation. A great help if you visit Gold Coast. This map covers the area north of Brisbane. It includes street maps from Bribie Island to Noosa. It also includes a great detailed map of Sunshine Coast hinterland. And it includes street index as well as information of the area that is handy if you visit Sunshine Coast. This map covers the area in the south eastern corner of Queensland. It includes points of interest, national parks, and the SE-Queensland part of National Trail - a 5000+ km multi use track suitable for walkers, horse riders, mountain bikers - that goes all the way up to Cooktown (and down to Victoria). The map also has distance charts and tourist information. This map covers the area north of Sunshine Coast and south of Rockhampton. 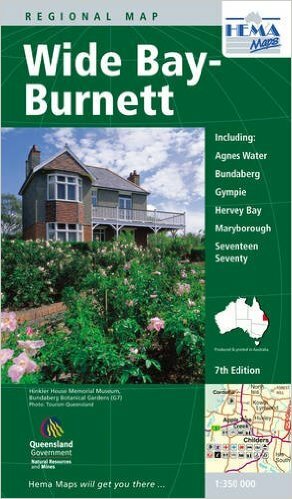 It includes Maryborough, Hervey Bay, Gympie, Bundaberg, Agnes Waters and Seventeen Seventy. In other words, it covers the so-called Fraser Coast, and is really handy if you are taking the coastal road up to north Queensland. This map covers the coast between Rockhampton in the south and Mackay Region in the north. It covers both the coastal and inland areas of Central Queensland, and it also includes town maps, distance charts, tourist information, national parks and the central-Queensland part of the National Trail. Great, detailed resource. This map covers the Mackay coast inlcluding Mackay and Airlie Beach with Whitsunday islands. It includes national parks and other points of interest. It includes town maps including Mackay street index. It is a great map to have if you visit or drive though Mackay Region. North Queensland map - covers Cairns, Townsville and all other places north of Mackay area, again in great detail as all HEMA maps. It includes town maps, national parks and points of interest. It also has tourist information and distance charts. This is more than a map - it is Townsville street directory, which is of course fully indexed and covers the city centre as well as all inner and outer suburbs. You don't really need a street index when travelling but this was the only thing I found that does include a Townsville street map. 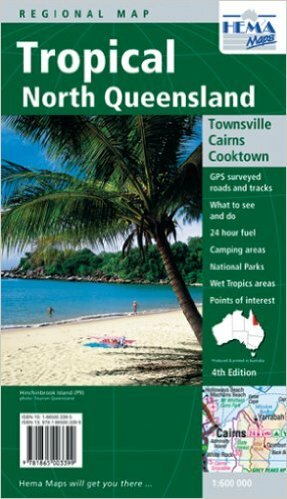 This is a new map that covers the whole area between Townsville in the south and Cooktown in the north (and actually even the area north of Cooktown, to Lakefield National Park), including Cairns and its surroundings. 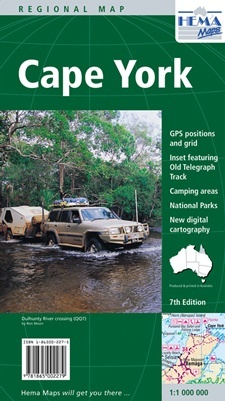 It includes GPS surveyed tracks, national parks and Wet Tropics areas, and information on points of interest. This is an excellent Cairns street map, which covers the city centre as well as inner and outer suburbs such as Northern Beaches, Edmonton and even Gordonvale. It also includes some areas outside the city, which include some great places such as Barron Gorge National Park. The map is fully indexed and is the best street map of Cairns that I know of - I've had many over the years. This map covers the area between Cairns and Cooktown, and includes places like Kuranda, Mareeba, Palm Cove, Port Douglas, Mossman, Daintree rainforests and Cape Tribulation, Bloomfield Road and the Rossville Bloomfield Road. It includes national parks, places to camp, places of interest and tourist information. 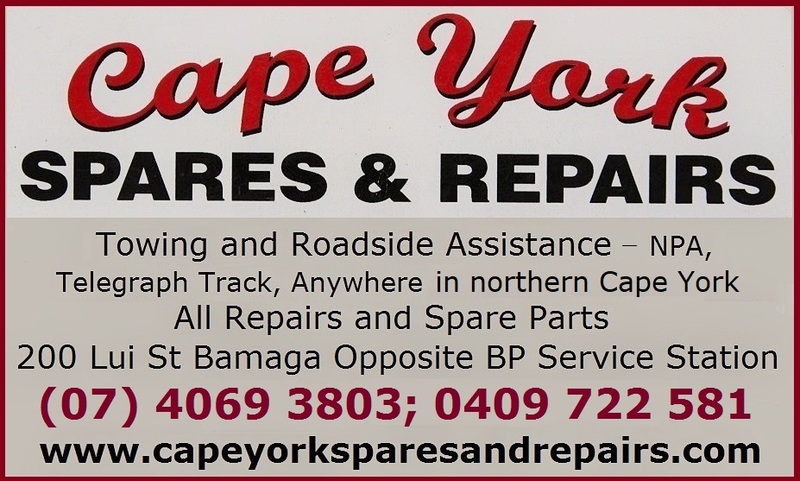 This map covers the Cape York peninsula and while there are quite a few Cape York maps, I have tried them all and I can say this one is the best. It covers the peninsula in great detail, has symbols for services with each town, township or roadhouse, and even has GPS coordinates. This is the map I use to get around in Cape York and I am confident to recommend it to you too. 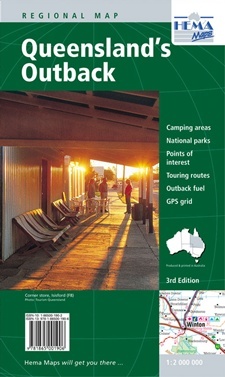 The outback Queensland map covers all of the central and western Queensland, again in great detail as all HEMA maps do. It includes outback national parks, some of the best points of interest, some great touring routes between outback towns; and even fuel stations, places to camp and GPS grid - everything you need to safely venture into the outback! If you want to go even further in, and get even more adventurous, behind the Queensland outback is the so-called eastern outback which covers a lot of outback in South Australia and includes some great four wheel driving country around Lake Eyre and the Central Australia Deserts such as Strzelecki, Sturt Stony, Pedirka and Simpson Desert. 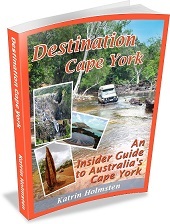 The whole area is as interesting as Cape York and a destination on its own. And of course, north of the Central Australia Deserts is Australia's Red Centre - the area most widely known as the heart of Australian Outback and very popular with international visitors, mainly because of Uluru and Kata Tjuta National Park. But there is so much more in the area around Alice Springs, such as Kings Canyon, MacDonnell Ranges and Finke Gorge. 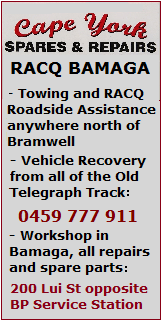 It is a great bushwalking and 4WDriving country and here is a great map that covers it. This is a special interest map for wine lovers. But it also includes a whole Queensland map. So you don't have to buy one more map for wine regions - you can use the Queensland map for you travels, and then use the maps of different wine regions that are included as you visit them. Also included is some information of the wine indusrty in Queensland, and some Queensland wineries.